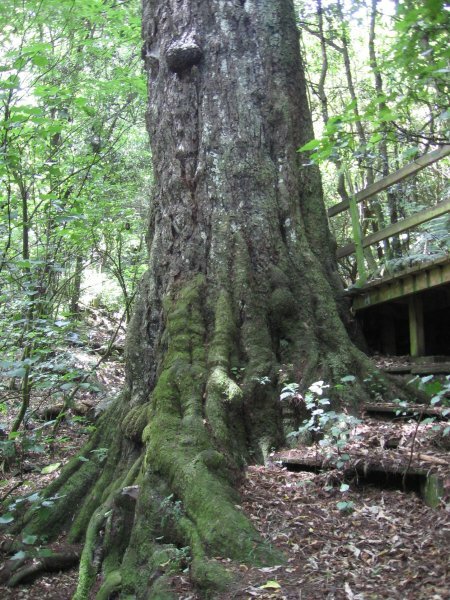 A very large tree located a short walk from urban Nelson on the appropriately named kahikatea track. 15.4 to lowest branch and second shot (24m) taken from up track from lowest branch to top. Measurement taken 1.1m from the high side or at the level of the lowest boardwalk rail. The tree is growing on a slope. The tree looks very healthy. There is some decay in the base. A single stem to 15m and then very broad spreading with a canopy highly modified by constant wind damage. 04 Jan 2011 Cadwallader, B.G. 26 Feb 1966 Burstall, S.W. Park at the Grampians track carpark on Market Road. 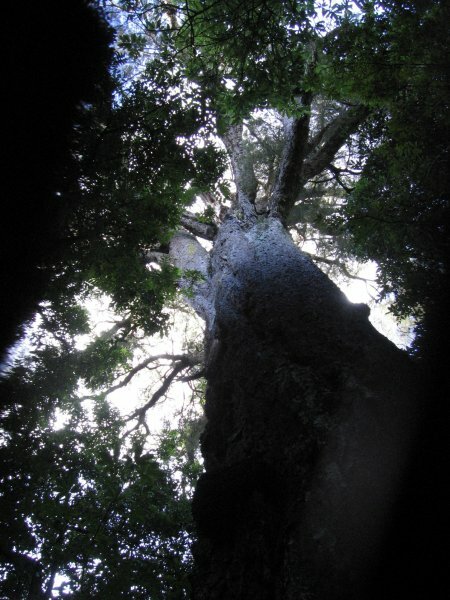 The tree is located 20 minutes up the gullley on the Kahikatea tack.